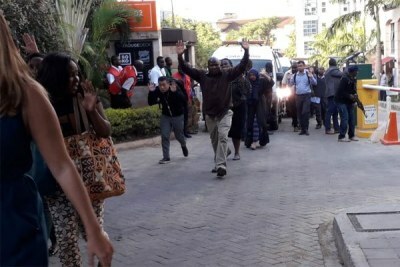 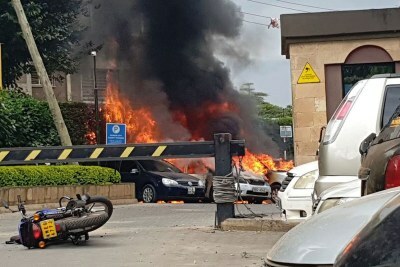 A Kenyan-born photojournalist's photographs of the Riverside Complex terror attack that left 21 people dead have found their way to the auctioneer's hammer. 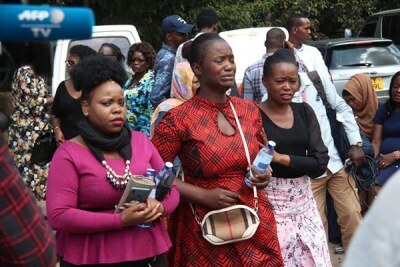 This comes a few days after the storm over the publishing of the photos by The New York Times, which prompted a review of editorial policies by the media house. 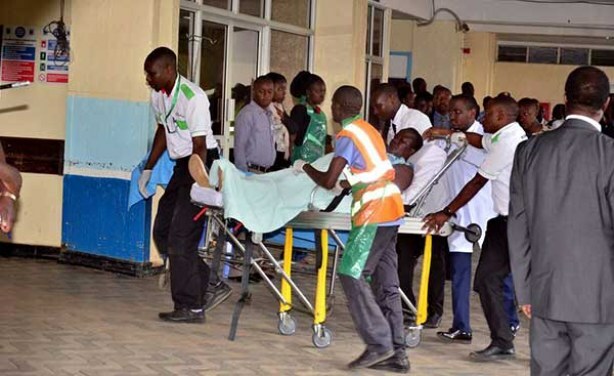 One of the victims injured during the Riverside attack is received at Kenyatta National Hospital on January 15.